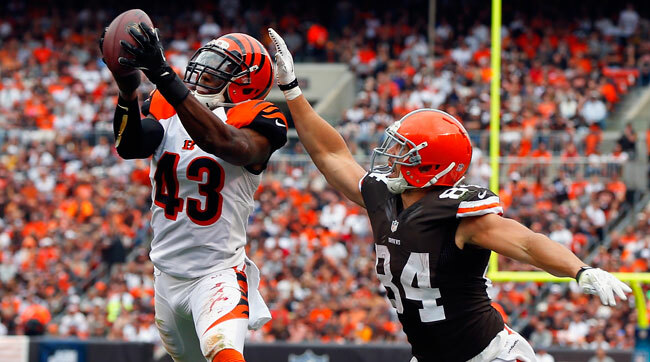 When George Iloka signed a 5-year, $30 million dollar contract extension with the Bengals in March, he checked off one of his goals as a professional football player. One down, one to go. He’s got the contract in hand, but lacks the ring on his finger. Iloka is entering his fifth NFL season and the long-term contract extension was a definitive statement that the Bengals view him as a defensive cornerstone in their efforts to win a championship. Iloka has started 47 of a possible 51 games over the past three seasons and has a skill set that allows the Bengals to be flexible in how he’s used. The 26-year-old will be the Bengals most experienced safety following the departure of NFL interception co-leader Reggie Nelson as a free agent. One thing that hasn’t changed is how the former fifth round draft pick views himself.